Local supermarket purchases may be delivered to the self-catering APARTMENTS RESIDENCE free-of-charge. 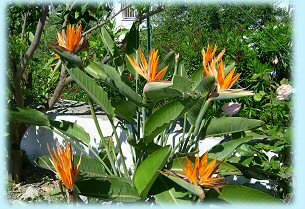 Transfer to and from Naples airport or from the railway station to the self-catering APARTMENTS RESIDENCE can be arranged. The following are available for hire: baby-sitting service and television. 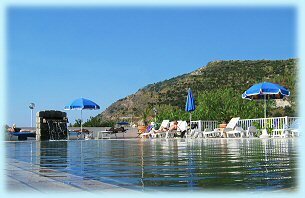 Thermal Spa (including beauty package). Tennis court at 1.5 metres. Internet point and facsimile service at 800 metres distance. Car, scooter and boat hire all available locally. 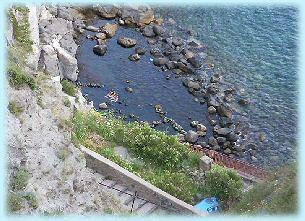 Diving course available in nearby Sant'Angelo and Forio. Personalised boat tour of the island. 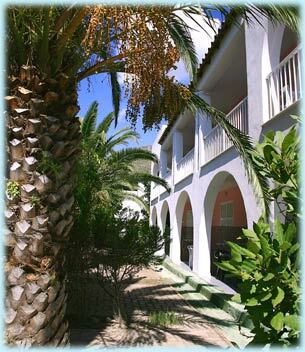 Characteristic restaurant nearby self-catering APARTMENTS RESIDENCE. Daily excursion to Capri, Procida, Ponza, Ventotene, Pompeii, Amalfi coast,Vesuvius,Naples and other interesting and historic places. The island of Ischia is reachable by ferry-boat or hydrfoil leaving from Naples: Beverello-Mergellina or Pozzuoli . The ship companies are www.caremar.it;www.lauro.it;www.traghettipozzuoli.it. For further information please conttact us at telephone number 081/909184 or 081/909331.